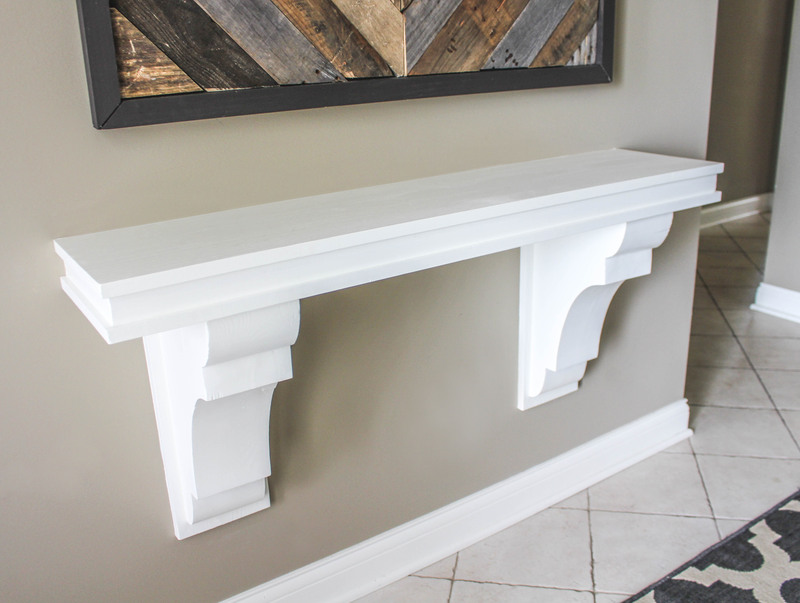 I made a corbel table! 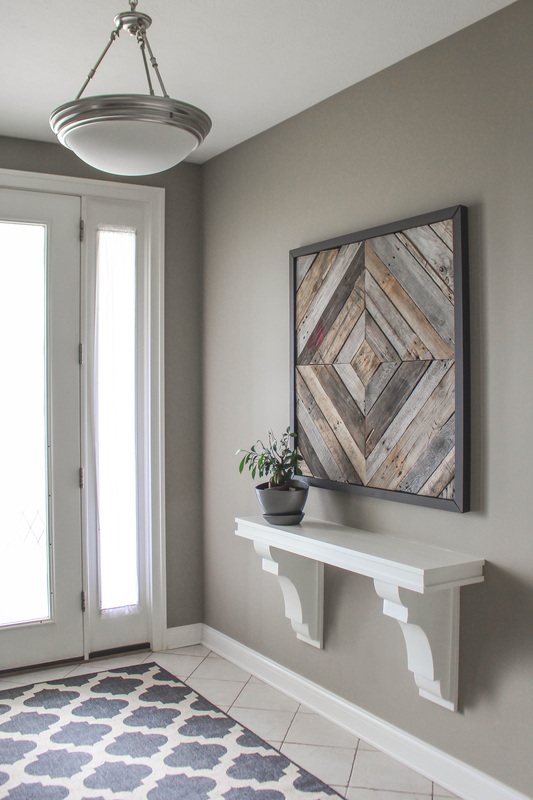 I first saw this Shanty-2-Chic DIY Console table that I thought was adorable and knew I wanted to do something similar for my entryway. At Shanty-2-Chic, she uses pre-made turned dining table legs. While searching for my own to buy, I found these corbels at Architectural Depot. I decided to go down my own route and make the table look like it was originally built with the house. The corbels I went with are 12″D x 20″H, 7-1/2″W Western Red Cedar (smooth). 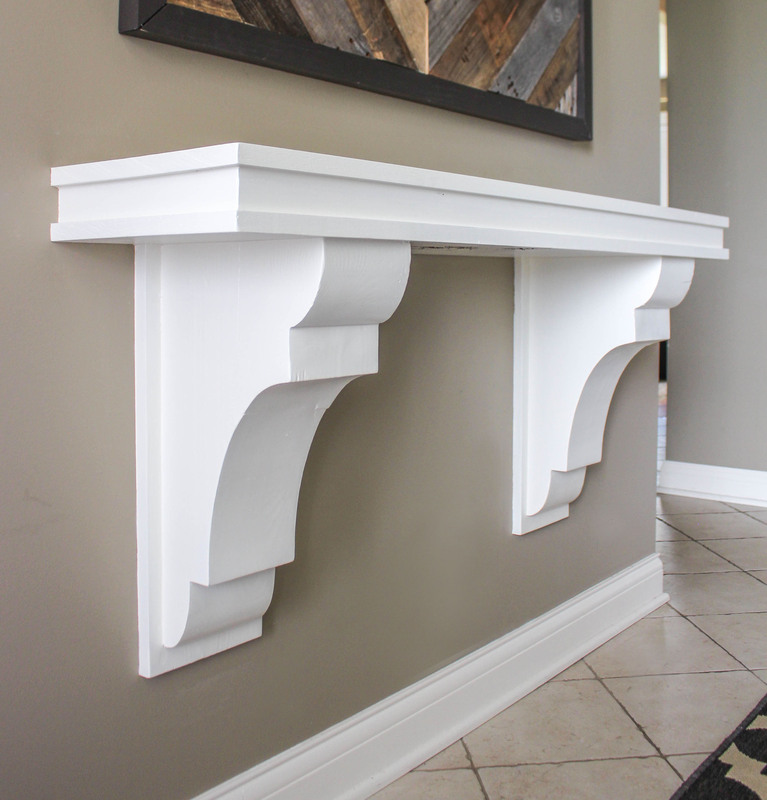 You can buy corbels that are nicely finished for indoors, but they are very very expensive. I decided to buy from the rustic collection and sand them down myself. These came with a top and backplate. I ripped off the top plate, and used the backplate to screw into the wall. The corbels are so bulky, I needed to also bulk up the top. I made Shanty-2-Chic’s multi-layer table top. To finish it, I used lots of caulk to fill in the gaps, primed and painted. If you like the pallet artwork, you can see the post on that here!